An international team of researchers has succeeded in measuring the shape of individual photons for the first time. The result could prove extremely useful for secure data transmission using light. Pulses of light can have almost any shape in space and time, and these shapes depend on the amplitudes and phases of the pulse's frequency components. Data can be encoded in light pulses by modulating the amplitude or phase of the light. Single photons and other quantum light states can also be generated in a variety of complex shapes and encoding information in these different shapes could be an efficient way to securely transmit data. Indeed, a single photon shape could represent, for example, any letter in the alphabet, or even a quantum combination (or superposition) of several letters. However, the problem is that once a photon has been sent through apparatus – such as an optical fibre – its shape can become distorted and the information contained within becomes impossible to decipher. 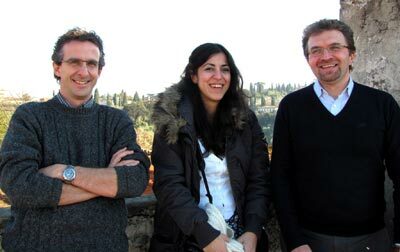 A team led by Marco Bellini of the Istituto Nazionale di Ottica in Florence, Italy, and colleagues have now managed to measure the precise shape of the mode of a quantum light state that appears at the receiving end by means of a "mode-selective" detector. The method is based on evolutionary algorithms commonly used in femtochemistry experiments and biology that optimize a particular experimental outcome by adjusting a set of initial parameters. "What is new in our work is that we have applied this approach to the detection of ultrashort quantum light states, combining for the first time very complex and advanced techniques from two distant fields of research: quantum optics and femtosecond coherent control," explains Bellini. The researchers begin by "mixing" the photon to be measured with a reference intense laser-light pulse or a "local oscillator" as it is called. The photon and the laser pulse interfere and either reinforce or cancel one another out, depending on their shapes. The closer their shapes, the more likely it is that the photon will be detected. What Bellini and co-workers do is to continually change the shape of the laser pulse in the detector until it best matches the shape of the photon. "If the shape of the photon is unknown, we start from a set of random shapes for the local oscillator and try them all to find those that perform better in detecting the quantum light state," explains Bellini. "These best shapes are then slightly modified and mixed among themselves to create a new generation of shapes that we test again against our single photon. The process continues until the best matching shapes are found in a sort of evolutionary adaptation." The researchers showed that their scheme could recover information intentionally encoded in the shape of a photon. For example, they created photons that had two separate frequency components with a particular phase difference. The photons could be detected using local oscillator pulses that had a matching phase difference but were not detected when the components of the laser pulse were exactly out of phase with the photons. Until now, most quantum-optics experiments have relied on generating, manipulating and detecting quantum states of light in one or just a few well-defined modes. For instance, most quantum-communication protocols – such as quantum cryptography – are based on the different polarization directions (horizontal or vertical, for example) of a photon. This means that information is encoded in just two possible states of the photon and all their superpositions – a so-called qubit. "By providing access to the full spatiotemporal-mode structure of a quantum light state, the number of orthogonal modes that a single photon can occupy (the possible letters in the 'alphabet') is virtually unlimited, so our approach could greatly enhance the capabilities of a quantum communication or computation system," Bellini told physicsworld.com. The researchers says that they are now testing the limits of the technique. 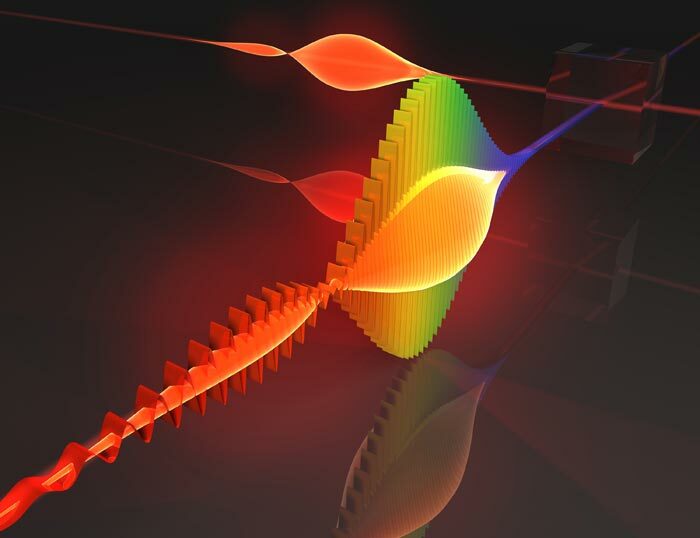 "We are also trying to improve the analysis of particular quantum light states and trying to increase the number of independently addressable modes that a single photon can occupy," adds Bellini. The work is detailed in Physical Review Letters.